Cinnamon Tea Recipe | Very Tasty, Healthy and Super Simple to Make! 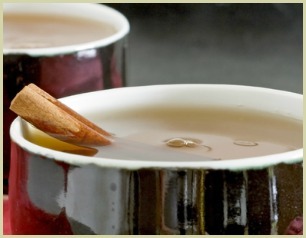 Out of all my herb and spiced drink recipes, this cinnamon tea recipe is a favourite and is so quick and easy to make! I like to add green teabags to mine, but you could make it without them. I normally use Ceylon cinnamon, also called soft stick or bakers, this is the variety you normally use in your desserts and puddings. Read more on Ceylon sticks. Remove the teabags and sticks and add a squeeze of lemon juice if using. Enjoy! As I said above, I normally use Ceylon for this drink, but if you only have cassia available, you could always try this. Read more on cassia. However you enjoy it, it comes with a whole host of health benefits. In India, traditional healers have more than 600 uses for cinnamon! Including ways of healing diarrhoea, coughs, headaches and fever. Read more on the many cinnamon health benefits. Some More Herbal Tea Recipes You May Enjoy! Clove Drink - Potent, Spicy and Very Healthy!